Owen frames his argument around three questions: Was Copernicus right, in dethroning Earth from its place at the center of the universe? Was Darwin right, in placing humans securely in an evolving animal kingdom? And was Hoyle right, in identifying physical constants in nature that seem singularly tuned to allow the existence of intelligent life on planet Earth? Using these episodes from the history of science, Owen demonstrates that cultural attitudes, including religious or anti-religious beliefs, play a significant role in what passes as scientific understanding. The more rigorous science becomes over time, the more clearly God’s handiwork can be comprehended. Owen Gingerich believes in a universe of intention and purpose. Taking Johannes Kepler as his guide, he argues that an individual can be both a creative scientist and a believer in divine design—that indeed the very motivation for scientific research can derive from a desire to trace God’s handiwork. The scientist with theistic metaphysics will approach laboratory problems much the same as does his atheistic colleague across the hall. Both are likely to view the astonishing adaptation in nature with a sense of surprise, wonder, and mystery. In God’s Universe, Owen carves out a “theistic space” from which it is possible to contemplate a universe where God plays an interactive role, unnoticed yet not excluded by science. Four and a half centuries after the initial 1543 publication of De revolutionibus, Owen embarked on an epic quest to see all existing copies of the first and second editions. 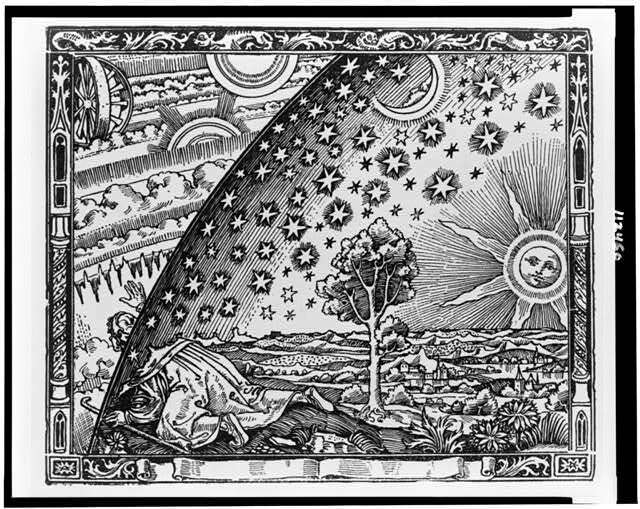 He was inspired by a seeming contradiction: Arthur Koestler’s claim that nobody had read Copernicus’ book when it was published; and his discovery, in Edinburgh, of a first edition richly annotated in its margins by the leading teacher of astronomy in Europe in the 1540s. 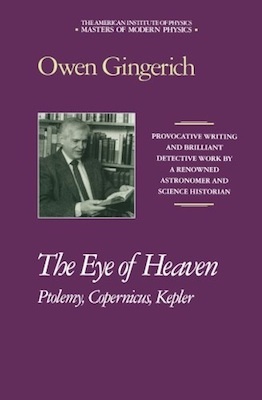 If one copy had been so quickly appreciated, Owen reasoned, perhaps others were as well—and perhaps they could throw new light on a hinge point in the history of astronomy. After three decades of investigation, and after traveling hundred of thousands of miles across the globe, Owen has written an utterly original book built on his experience and insights gleaned from examining nearly 600 copies of De revolutionibus. He traced the ownership of individual copies through the hands of saints, heretics, scalawags, and bibliomaniacs. He was called as an expert witness in the theft of one copy, attended the dramatic auction of another, and proves conclusively that De revolutionibus was as inspirational as it was revolutionary. Here is a volume almost unique in the annals of bibliography: an attempt to describe the provenances, annotations, and condition of all surviving 16th-century copies of a major Renaissance text. This census lists 277 copies of the 1543 first edition of Nicolaus Copernicus’ pioneering masterpiece, and 324 copies of the 1566 second edition. Its compilation required three decades with the worldwide cooperation of librarians, dealers, and collectors. The density and quality of the data provided about the copies make this a fascinating reference work not only for scholars interested in the history of astronomy but especially for all those interested in printing in the early modern period. The census also provides an almost inexhaustible mine of information concerning the spread of ideas, scholarly networks, book collecting, and library development from the 17th to 20th centuries. Twenty-five papers originally published during a 25-year period, beginning in 1964 with "The Computer versus Kepler," examine the evolution of astronomy and the intertwining of raw data, interpretation, and creativity that propels science. A substantial introduction precedes the lightly edited essays, which are arranged chronologically, not by date of publication but by their subject matter, to create a coherent monograph. The Eye of Heaven explores the development of astronomy with emphasis on historical context, the work habits of astronomers, and the role of creativity and artistry in the scientific endeavor. It demonstrates both Owen's astute scholarly detective work and his peerless master of the art of science history writing. Originally he described these explorations in articles for Sky & Telescope, Scientific American, and other periodicals. They are collected here in popularly written and generously illustrated chapters that explore the origin of the zodiac, the secrets of detecting fake astrolabes, how optical astronomers beat radio astronomers in the race to discover the spiral arms of our Milky Way, and much more. The book includes bibliographic citations for those interested in probing deeper into these fascinating chapters. Some 400 years after the first known patent application for a telescope by Hans Lipperhey, The Astronomy Revolution surveys the effects of this instrument and explores the questions that have arisen out of scientific research in astronomy and cosmology. Inspired by the international New Vision 400 conference held in Beijing in October 2008, this interdisciplinary volume brings together expanded and updated contributions from 26 esteemed conference speakers and invited others. Looking beyond questions of science to the role of moral responsibility in human civilizations, the book offers the unique vantage points of contributions from both Eastern and Western cultures. Extensively illustrated in full color, this book consists of six parts. Aimed at young scientists, the first part presents perspectives on creativity and technology in scientific discovery. In the second part, contributors examine how the telescope has impacted our knowledge of the universe—from the formation of galaxies to the death of stars. The third part of the book outlines some of the challenges we face in understanding dark matter, dark energy, black holes, and cosmic rays, and the fourth part discusses new technologies that will be useful in attacking new and unresolved questions. The fifth part of the book examines the intellectual impact that the telescope has had on society in China and in the West. The book concludes with an investigation of "big questions": What is the origin of the laws of physics as we know them? Are these laws the same everywhere? How do these scientific laws relate to the moral laws of society? Does what we know depend on cultural ways of asking the questions? Is there life elsewhere? And what about the questions that science cannot answer? Celebrating the historical significance of the telescope, this unique book seeks to inspire all those involved or interested in the enterprise of astronomy as humankind continues the quest to unveil the heavens.